David Priester of Hilton Head Automotive turned to paid search when he realized that he used a phone book rarely and a computer constantly. 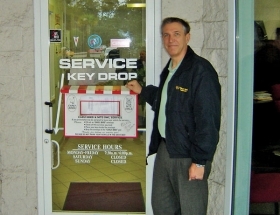 • Hilton Head Automotive pays Google to "own" key words or terms. • When online searchers use a term purchased by the dealership, they get links to Hilton Head Automotive. • Hilton Head Automotive sprinkles its Web site with terms that trigger leads. When he first heard about using Internet search engines to promote auto service, David Priester needed little persuading to try it at Hilton Head Automotive. All he had to do was look at his typical workday. "The first revelation for me was: 'How many times do I use the phone book anymore?' " says Priester, business development manager for the Bluffton, S.C., dealership group. "For good or bad, I sit in front of a computer 99 percent of my day." For service departments, paid search is an "underleveraged" part of dealership marketing, says Max Steckler, vice president of advertising products at Cobalt Group, an automotive marketing firm. For a fee, Cobalt advises Priester and other dealerships on how to build Internet leads. Steckler says dealers use paid search mostly for sales. Using it for service can cost less per lead because people looking for service aren't just casual shoppers. It has been about a year and a half since Priester's aha! moment at Hilton Head Automotive, which has a BMW store and one selling Cadillac-Pontiac-Buick-GMC. The dealership now has a service Web page filled with key words designed to trigger leads from people using Google and other popular search engines. For instance, if you enter "brake service Bluffton" in Google, a link to the dealership appears under "Sponsored Links." Click on that link, and the dealership's service page opens. Hilton Head's service Web page used to have just a map and service hours. Now it has features such as a tire finder, service scheduler, parts ordering and a list of specials. "The more content you have, the higher you'll rank on organic search," says Priester. The dealership uses a service managed by Cobalt for search engine optimization. Organic search results, which cost dealerships nothing, are the ones that pop up naturally based on the key words entered by a Web surfer along with factors such as the Internet users' past search patterns and location. Paid search results give a dealership higher placement based on how much it agrees to pay for each click and how often Internet users click on the listing. Priester says the amount he pays Google per click is based on a formula that takes into account how much he bids for key words used in the search. Since there isn't a lot of local competition for his service-related key words, Priester has set a fairly low budget for service-related searches -- about $700 or $800 per month. He spends more than twice that for sales searches. It has been hard for the Hilton Head dealerships to track the effectiveness of the search engine marketing. "A lot of those people will, even though they see us on the Web site, they will still pick up the phone and dial the number," Priester says. "The majority of them don't e-mail us." Has it been worth the effort? Absolutely, he says. "We feel like by being active in paid search, we've kept ourselves in front of the customers who are using that medium," Priester says. "It's been a downturn year in a lot of ways, but we've been able to be constant and in some cases ahead of the downturn." San Francisco area entrepreneur David Sturtz offers dealers another way to reach Web surfers — through his site, repairpal.com. RepairPal gives Web surfers estimated price ranges for services in their area, broken down by ZIP code. The estimates are based on research of 173,000 dealerships and independent repair shops. Dealers can get paid listings for a monthly fee ranging from $50 to $200. One of the company's biggest advantages is search engine optimization, says Sturtz, RepairPal's co-founder and CEO. His site uses about 700,000 search terms that can trigger results on Google and other sites. "We can help a dealership get found much more easily and look good in the consumer's eye vs. buying key words and trying to get people to their site."